It's September! And that means a new fall TV season is quickly approaching. 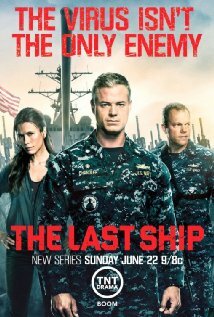 The Last Ship - 9/9/18 - We love this post-apocalyptic show starring Eric Dane (McSteamy) that has grown and evolved with each season - this year, it moves from summer to fall. The Resident - 9/24/18 - We just started watching this new medical show last winter and although it has some flaws, we generally enjoy it (and especially its main cast members). This Is Us - 9/25/18 - I watch this show on my own during lunchtime and love to laugh and cry with every episode! I can't wait to see what they do with season 3. Grey's Anatomy - 9/27/18 - Season 15?? Yup, and we've watched it since season 1 and still love it! What other huge medical disasters and new couplings can they come up with? 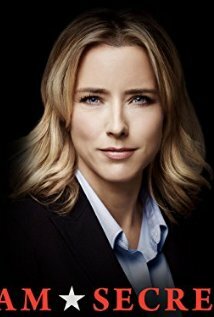 Madam Secretary - 10/7/18 - One of the best shows on television, with an outstanding cast - suspenseful, intriguing, and even funny. Blindspot - 10/12/18 - We've watched this fast-paced thriller for 3 seasons and are eager to see what's in store for Jane Doe next. Scorpion - Though it sometimes stretched the bounds of believeability, we enjoyed all 4 seasons of this suspenseful and funny show and will miss it in this fall's line-up. Wisdom of the Crowd - Though it only aired 1 season, we loved this unique show about fighting crime with crowd-sourcing. Rumor is that allegations of sexual misconduct by Jeremy Piven, its star, (though he denied them) may have shut it down. I'm sorry to see it go. 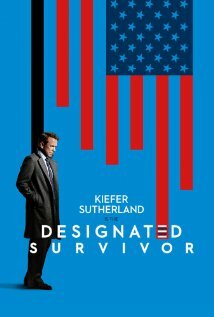 Designated Survivor - My husband is going to be SO upset to hear this one isn't coming back. Though we both enjoyed this political thriller starring Keifer Sutherland, it was his favorite in the fall/winter line-up. Its 2 seasons are well worth watching. I watched a lot of YouTube trailers tonight, and there are a few shows I am looking forward to trying. Manifest - 9/24/18 - I can't wait to watch this one, about a plane full of passengers that went missing five years ago and suddenly reappears - oooh! Intriguing! New Amsterdam - This looks pretty good, starring Ryan Eggold (Tom from Blacklist), but I don't know if we have room in our hearts (or viewing schedule) for a third TV medical drama. A Million Little Things - A new ABC drama about a group of friends who are upset when one of their own commits suicide, along the lines of NBC's This Is Us, in terms of an ensemble drama. I will probably try this one on my own at lunchtime. I Feel Bad - There are a whole slew of new sitcoms this season, but we don't watch too many of those (except Modern Family and Life in Pieces when our kids are home). I might try this one myself - the preview was pretty funny! Those are the highlights for fall TV on our horizon. The show I'm most looking forward to is A MILLION LITTLE THINGS, but I'm wary. It seems so, so, so derivative of other things. However, it has David Giuntoli in it and I'll watch anything he is in (ahem, almost anything...if you've read my past TV rantings, you'll know that I have a limit). I'm also going to check out Manifest, although I'm not sure it will be my cup of tea. And, I'll give New Amsterdam a try since I recently kicked Grey's Anatomy to the curb and now I have room for another medical drama. The other shows I'm going to try are THE CONNORS (I never watched Roseanne, because I can't stand Roseanne Barr. But I love John Goodman, so now is my chance! 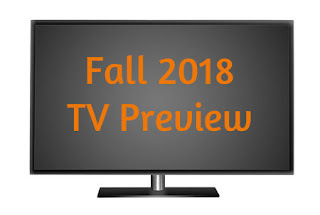 ), WHISKEY CAVALIER, and PROVEN INNOCENT...and about 32 streaming shows that will show up at some point in the next several months! I will definitely watch The Connors, too - I'm also not a fan of Roseanne, either, but the new show was actually excellent, so I'm sure the reboot will be, too. I haven't heard of Whiskey Cavalier or Proven Innocent - will have to look into those! SO MANY new shows on streaming to check out - I didn't really get too far into those here! I am so excited for Madam Secretary to start up again! Us, too, Helen - one of my faves! I just had to come back here to tell you NOT TO DESPAIR about "Designated Survivor"! Netflix has picked it up and will continue it! OMG!!! Thanks for the heads up, Melinda! Wait till I tell my husband when he gets home tonight - he will be thrilled! !